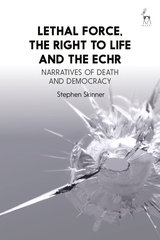 In its case law on the use of lethal and potentially lethal force, the European Court of Human Rights declares a fundamental connection between the right to life in Article 2 of the European Convention on Human Rights and democratic society. 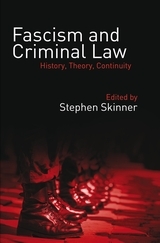 This book discusses how that connection can be understood by using narrative theory to explore Article 2 law's specificities and its deeper historical, social and political significance. Focusing on the domestic policing and law enforcement context, the book draws on an extensive analysis of case law from 1995 to 2017. It shows how the connection with democratic society in Article 2's substantive and procedural dimensions underlines the right to life's problematic duality, as an expression of a basic value demanding a high level of protection and a contextually limited provision allowing states leeway in the use of force. Emphasising the need to identify clear standards in the interpretation and application of the right to life, the book argues that Article 2 law's narrative dimensions bring to light its core purposes and values. These are to extract meaning from pain and death, ground democratic society's foundational distinction between acceptable force and unacceptable violence, and indicate democratic society's essential attributes as a restrained, responsible and reflective system.